On March 30th, 2016, at approximately 8:00 p.m., Dubuque Police attempted to stop a vehicle believed to have just been involved in a drug transaction in the 600 block of West Locust Street. The driver refused to stop and led officers on a pursuit. The pursuit was terminated for safety when the driver turned the wrong way onto Locust Street and continued to exceed the speed limit by over 25 miles per hour. Traffic cameras were then utilized to track the vehicle to the Motel 6 at 2670 Dodge Street. As offices were checking the area, a subject later identified as Chad R. Julson, 31, (no permanent address) attempted to flee on foot, ignoring officers’ commands to stop. He was also seen throwing a bag into the parking lot as he fled. Julson was caught after a brief foot pursuit and the bag recovered contained nearly 30 grams of methamphetamine and assorted drug paraphernalia. Julson initially provided a false name, but was positively identified and determined to have warrants for his arrest as well – locally for Possession of a Controlled Substance & Theft 4th Degree, and out of Wisconsin for Escape. Julson was also charged with Felony Eluding, Operating While Intoxicated, Possession of a Controlled Substance, 2 counts of Interference With Official Acts, Possession of Drug Paraphernalia, and multiple traffic offenses. 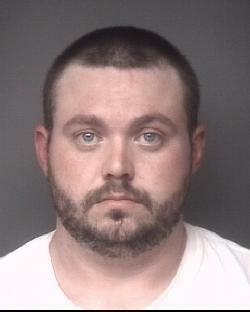 Julson remains in the Dubuque County Jail with no option for release on bond.